Read about author media appearances by clicking here to go to the Author page. The DivaGirl's Guide in the Media! Essence Magazine November 2011 issue features the article, Bound for Better, by O. J. Toks, author of Rejected for a Purpose. For more information about Toks, his article, and his book, click on the link below. Sheilah Vance's first novel, Chasing the 400, is listed in the Top 20 Bestseller's in this month's Black Expressions Book Club magazine! To order and for more information, click the link below. The Elevator Group is pleased to announce that the Smithsonian National Museum of American History (NMAH) will continue to host booksignings for Treasures at the Museum by Deborra Richardson, Chair and Chief Archivist at the NMAH, through the end of the year. Check the museum website for details. The book remains available in the museum bookstore. 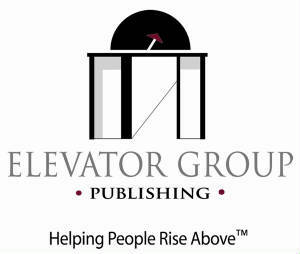 May 10, 2011--The Elevator Group is pleased to announce that Chasing the 400 by Sheilah Vance is now available in a special hardcover edition as a featured selection on Black Expressions Book Club, www.BlackExpressions.com, and as a selection of Book of the Month Club, www.bomcclub.com and BOMC2 (powered by Book of the Month Club) www.BOMC2.com. BlackExpressions.com has an exclusive offer. .Get 4 books for $2 plus a FREE gift with a new membership. You can purchase Chasing the 400 for just $0.50 (normally $15.95 retail). If you're already a member of this popular book club, then please go right ahead and order Chasing the 400 this month. Book of the Month Club and BOMC2, premier direct to consumer book clubs, also have great exclusive no-cost or low cost offers for Chasing the 400 for their members--old and new! "I am so thrilled to be a part of the Black Expressions and Book of the Month Club families," said author Sheilah Vance. "This is truly a dream come true." Chasing the 400 was a popular and critical success when Vance first self-published the book in 2006. It has gone on to become the first selection of the African American Museum of Philadelphia Book Club, a top-seller of Vance's publishing company, The Elevator Group, and a favorite of readers everywhere. Read Philadelphia Inquirer columnist Annette John-Hall's column, A timely book on eating cheaply and healthily from Philadelphia's "Dollar Diva". 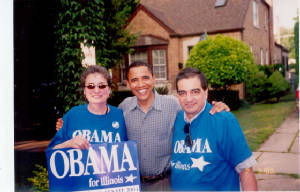 Click on the link below to hear John Presta's interview about his book "Mr. and Mrs. Grassroots: How Barack Obama, Two Bookstore Owners, and 300 Volunteers Did It", politics, and grassroots organizing on Radio Chicagoland, Ray Hanania's show, WJJG, Chicago, 2/9/10. Chicago Alderwoman Toni Prenwinkle won the primary for Cook County Board President on Feb. 2, 2010. The next day, a campaign website mentions John Presta's book, "Mr. and Mrs. Grassroots: How Barack Obama, Two Bookstore Owners, and 300 Volunteers Did It" this way: "What Toni Preckwinkle shows is that old fashion grassroots campaigning is still the best political strategy to have. To gain more insight on that, you should read John Presta’s book, Mr. and Mrs. Grassroots: How Barack Obama, Two Bookstore owners, and 300 Volunteers Did It." Click on full article here. Read John Presta's article in the Daily Kos, titled, "Obama book is a celebration of books and bookselling." Hear P. J. McCalla discuss her novel, Heads Deacon, Tails Devil with Carolyn Firestone, Women's Watch, WBZ-Boston. Publishers Weekly.com, 6/16/09, announces that The Elevator Group has signed Chicago bookseller John Presta for the January 2010 release, "Mr. and Mrs. Grassroots: How Barack Obama, Two Bookstore Owners, and 300 Volunteers Did It". The Washington Post, Sheilah Vance's article, "Scriptures to Read During a Divorce"
Interview with Sheilah Vance, Deseret News, Salt Lake City, Utah, "Woman finds Bible helped her understand divorce", 6/27/09. Interview with Patricia Thomas, 6/12/09, Dayton (OH) Daily News, "Author Approached Weight Loss Through Christianity." Link to Land Mines review in the Library Journal, 11/1/08. 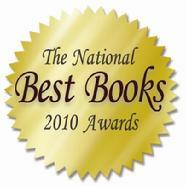 Review of Land Mines in Main Line Today magazine "Things We Like", May 2009. Washington Post listing about Sheilah Vance's workshop, "Reframing April Fool's Day: Writing (and Rewriting) Relationship Stories and Moving On"
Interview on navigating divorce, with a focus on helping children cope, on OC Family Radio.com with Kim Porrazzo on 6/2/09.